And just like that, 2016 is almost over. It’s been another great, busy year here at Hyperlite Mountain Gear–one for the record books. The good news is that it seems like the idea of doing more with less is really getting some legs. Like, big, burly I-just-yo-yo’d-the-PCT-legs. We put that notion to the test every day in our production and manufacturing, while our staff, ambassadors, friends and customers do the same on trails, crags, hills, mountains, rivers and trails across the continent and throughout the world. Bottom line: some crazy stuff got done in 2016. We figured out how to make even more ultralight backpacks, shelters, tents and tarps per day, all without compromising our commitment to quality or our other core values–like producing everything here in our factory in Maine (in the good-old US of A). That’s not it though. Some serious business happened in the field, too. So much so that we figured we’d compile a Best of 2016 list of things from the Hyperlite Mountain Gear blog, in case you missed anything. Grab some left over egg nog (or don’t, maybe–how old is that stuff? ), cozy up on the couch and prepare to get really excited about the year to come. 2016 was great, but 2017 is going to epic. More than four thousand people have summited Mt. Everest. Two hundred and fifty people have walked 7,900 miles to complete the triple crown of hiking (walking the PCT, CDT and AT). Twenty-four astronauts left the Earth’s orbit for the moon. 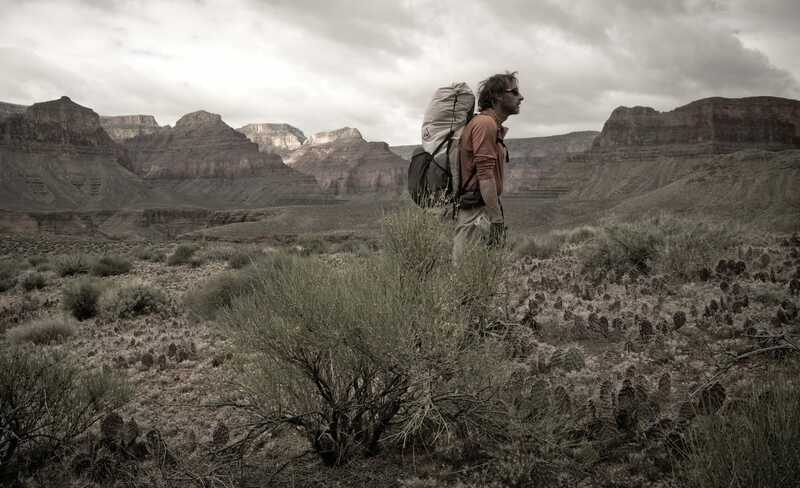 But only 12 people have ever walked the length of Grand Canyon in one continuous push. In 2016, Rich became #13 after a 57-day journey through some of the Earth’s most unforgiving terrain. 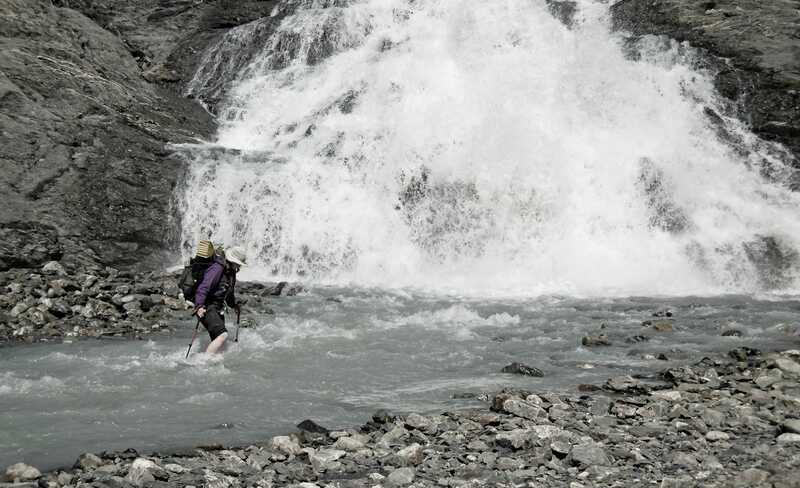 Flash-floods, snow, hail and Giardia proved no match for this guy’s will and determination–no wonder he’s an Outside Magazine Adventurer of the year. Add this accomplishment to his roughly 100+ first descents of slot canyons in the Grand area, and you have a sense for why he’s also a Hyperlite Mountain Gear ambassador. Also, Rich is 50. The rest of us can probably go ahead and put our excuses to bed now. 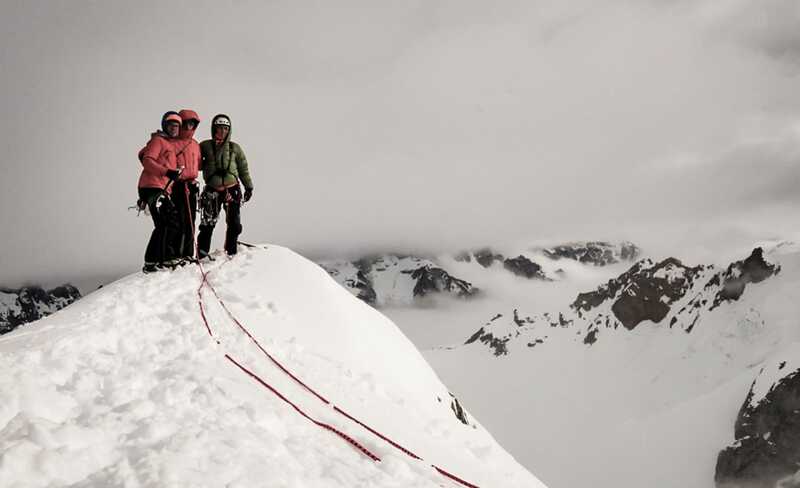 Call it an addendum to our usual mantra of “do more, with less.” To Craig Muderlak, Drew Thayer and David Fay, that notion looks more like “do more, with less, to do more.” Last May they got dropped off on the North Fork of the Pitchfork Glacier in Alaska’s Aleutian Range. They proceeded to climb hard for 21 days, trying new routes and putting up first ascents on neighboring peaks throughout the zone. Shouldering their packs and heading for home was the beginning of a whole new adventure. To avoid miles of post-holing, they set out initially on homemade wooden skis. Before transitioning off the glacier and into packrafts (with climbing racks in tow), they first burnt the skis to keep from lugging them all the way back to Cook Inlet. What followed is a riveting tail of wily backcountry savvy, luck and perseverance. Ambassador Bethany Hughes is the real deal. A few years ago, she completed the PCT and then queued up an even more ambitious plan. Hiking from Canada to Mexico just wasn’t enough; she wanted to thru hike the Americas. 20,000 miles, from Tierra del Fuego to the Arctic Ocean. Turns out that untold hours on the trail give a person some time for reflection. That, in turn (or, at least when it comes to Bethany), yields some pretty profound insights about this ideal of an adventurous life we’re all chasing. The headings on her exceptional blog post on “Adventure Adaptability” say it all: Plan carefully, then let it all go out the window — Know your priorities — You know nothing — Honest evaluation. Some heavy ultralight thinking, to be sure. 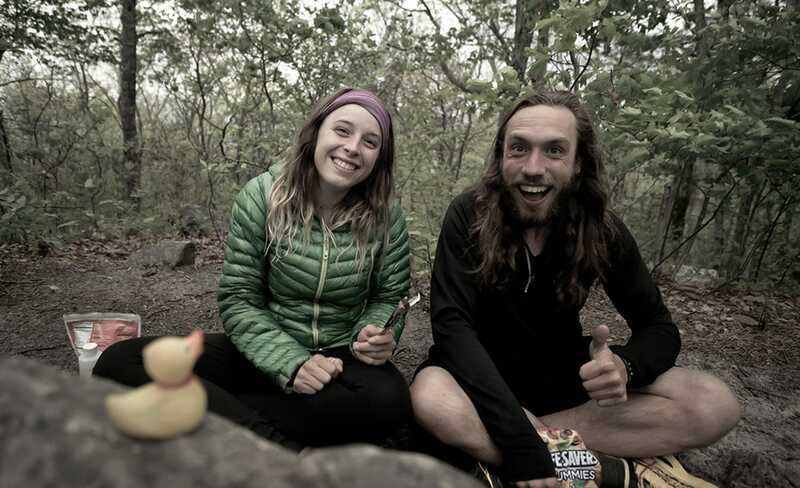 Throughout 2015, Hyperlite Mountain Gear employees Kendra and Tyson (she’s the eternally chipper voice you might have heard on the other end of a call to customer service, he’s our shelter specialist on the production line) painstakingly laid out their planning and prep for an Appalachian Trail thru hike. Starting in March at the southern terminus of the trail, they headed north with his-and-hers ultralight packs and an Ultamid 2 two-person pyramid tent. Six months later, they were standing on the summit of Mount Katahdin when Tyson popped the question. Cheers to these guys for generally being the best, and here’s to the first-ever Hyperlite Mountain Gear wedding, coming in 2017. Last but not least, we head back into the Grand with full-blown map geek Clay Wadman. Wadman, an architectural designer and pro draftsman by trade, is known for having created what most regard to be the best maps of El Cap and Half Dome (complete with annotated renderings of multi-pitch routes). In addition to literally knowing the big walls of Yosemite like the back of his hand, Wadman is no slouch in the backcountry. 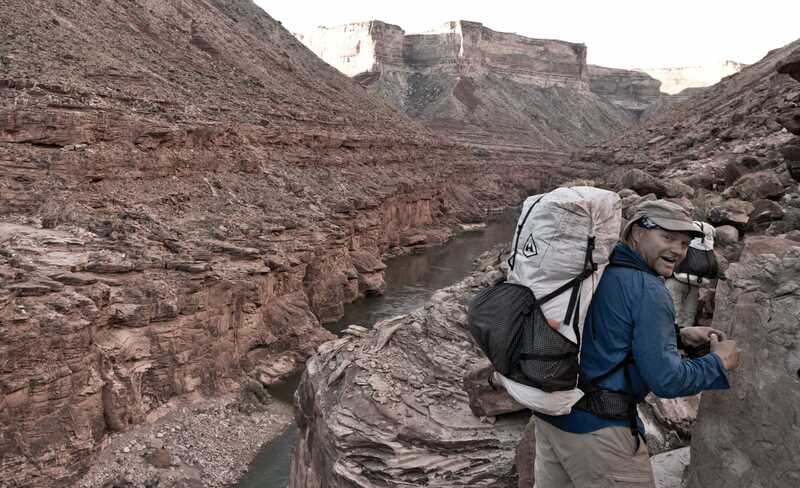 He accompanied Hyperlite Mountain Gear CEO Mike St. Pierre on the second leg of his section hike of the Grand Canyon in 2015, and shared his unique perspective on the topographical challenges of the endeavor. When Wadman sets graphite to paper, wonderful things happen–whether he’s drafting, mapping or writing. The excerpts from his trip journal read like an intimate account of a journey through three dimensions. The result is spellbinding and well worth any passionate adventurer’s time. The post The Best of 2016 appeared first on Hyperlite Mountain Gear Blog.